Pappy was a class guy. Very sorry to hear of his passing. God Bless and RIP Jack. Jack, it was great knowing you, sir. Rest In Peace. They burn guns don't they? Prayers for Pappy's family. Very sad to hear of his passing. He was a fine craftsman and a good man, and helped me out numerous times. I had just read about this on Facebook this morning and I was very saddened to find out. Pappy was a super nice man and a great member. I will miss him. Sorry to hear about Pappy he made a fine tube call and one of the easiest trumpet calls to use. Will be praying for his family. If you make everything easy how do you know when your good at anything? So sorry to hear about “Pappy”. I use to live about 20 miles from “Pappy” in the bootheal of Missouri. He was always a big help to me when I had a problem. I still have some Mississippi bottom wood he gave me. My thoughts and prayers are with his wife and family. R.I.P. “Pappy”. God Bless. Man what sad news. What a great and passionate guy. His knives, his calls, etc, etc... He'll be missed for sure. A huge loss to this community. Godspeed old friend. I'll be sure to take your calls into the woods next spring. And we'll hunt together. Godspeed Jack. 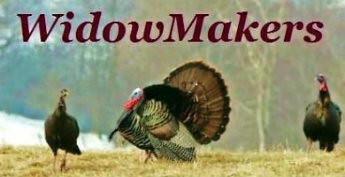 May the rivers be full of fish and the Trees full of Turkeys. I have smacked more birds with Pappy's calls than any other. RIP. He was always into something and not afraid to "give it a go". He will be greatly missed. Prayers go out to his family and friends.